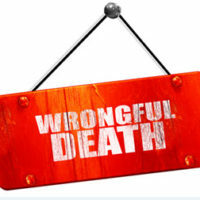 Sadly, wrongful death lawsuits are all too common when it comes to families seeking justice for what sometimes happens to their loved ones in nursing homes after they have been the victims of negligence and/or abuse. However, one recent federal judge’s decision may now make it harder for nursing homes who try to force wrongful death suits into arbitration; specifically, the decision declares that the patient’s decision to sign the arbitration agreement was not enough to bind her family. The case was brought against Elkhart Operating LLC and HCR Manorcare Medical Services of Florida, LLC by the special personal representative of the estate (here, the husband) of the patient who died at the facilities. The patient signed and executed what’s known as an “Admission Agreement,” which states that it defines the rights and obligations “of each person or party who signs it.” These types of agreements are typically mandatory before patients can be admitted to the nursing home. They also allow for a legal representative to sign it on the patient’s behalf if they are unable to sign. As in this case, patients are also sometimes asked to sign and execute a separate Alternative Dispute Resolution (ADR) Agreement. These provisions can be confusing to patients and their families, as while the intake contract may state that it is not a condition of admission to the facility, it can also include a provision incorporating it into the Admission Agreement itself. Like other ADR agreements, this agreement required that the parties pursue mediation or, if unsuccessful, binding arbitration to resolve any disputes arising out of the ADR agreement or to the Resident’s stay at the facility. These claims included financial, contractual, tort, consumer protection, fraud, negligence, malpractice, healthcare, safety standards, and/or related disputes. While residing at the facility, the patient developed a Stage UV decubitus ulcer, which led to sepsis and her death. As a result, the patient’s husband (as the Special Representative of her estate) initiated this action alleging wrongful death, alleging that the facility was careless and negligent and breached the applicable standard of care in its treatment of his wife, the patient. He also alleged that he suffered injuries in the form of lost love, affection, companionship, and services of his wife as a direct and proximate result of the facility’s carelessness and negligence. In this case, the critical question involved whether, under contract principles, the ADR agreement required the plaintiff to specifically arbitrate his wrongful death claim. While there was no dispute that the agreement was a valid and enforceable contract between the patient and the facility, the judge stated that because plaintiff himself as the special representative never signed the ADR agreement, and brought the wrongful death claim based upon his own injury, he was not bound by the agreement and could proceed with the wrongful death claim. If you or your family has experienced a death caused by someone else’s negligence, recklessness or misconduct, speaking with wrongful death attorneys can help. In addition, in order to save you and your family members from going through battles like these, it is always wise to have an experienced attorney look over any and all agreements that patients have to sign before being admitted into these facilities. At Friedland & Associates, we fight for justice on behalf of victims of wrongful death and their families. Contact us today for a free consultation.